Tears flowed freely yesterday as the late Government House Photographer, Mr. Reginald Dei and a Peoples Democratic Party (PDP) leader in Southern Ijaw Local Government, , Mr. Seidougha Taribi, who were allegedly killed by soldiers during the last elections, were finally laid to rest. Many of those who attended the commendation service, including Governor Seriake Dickson; his Deputy, Rear Admiral John Jonah (rtd); federal and state legislators from the state, party chieftains and several government functionaries could not hide their emotions, variously deploring the militarisation of the last election. During the service which lasted hours, Dickson accused the leaderships of the nation’s security agencies of deliberately shielding the perpetrators of the heinous acts from justice. 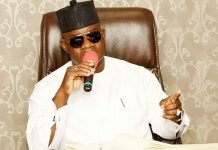 The governor, who also took a swipe at President Muhammadu Buhari, vowed that next week, he would write what will be his last letter to the President on the what he said is the continuous compromising of security in the state by some All Progressives Congress (APC) chieftains in the state. He maintained that thereafter, he would personally mobilise across party lines throughout the length and breadth of the state to confront those he said have hijacked federal security agencies to intimidate, maim and kill innocent citizens of Bayelsa. 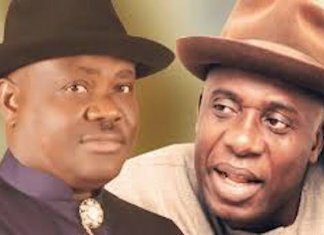 Dickson said the two corpses, which were brought to the Diepreye Alamieyeseigha Memorial Banquet Hall, were clear evidence of the killings allegedly perpetrated by APC leaders in the state with the backing of the Federal Government. 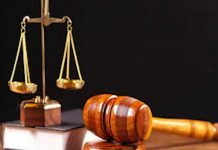 He accused the federal government of giving security cover to opposition leaders after committing brazen acts of criminality against the state . “Today is a sad day, not because of the very young age at which their lives were cut short, but because of the way and manner they were murdered in cold blood in Oweikoroagha in their own homes by uniformed men at the command and behest of political operatives. 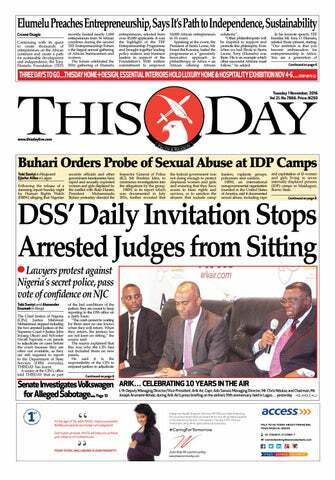 “The killers in Bayelsa that are known are protected by the agencies of the Nigerian state. If any one ever thought that all I have been saying about killers and their protection was politics, here lies the evidence. “The FG is not interested in the peace security and stability of Bayelsa. They want Bayelsa to be turned into a state of blood like other states. In Katsina, there were no killings, but here soldiers were deployed for all APC politicians” Dickson said. Dickson who described the gruesome killings as acts of terrorism against the state said that Dei and Taribi were not near any polling unit when soldiers were led to kill them in their residence in Oweikorogha, Southern Ijaw Local Government Area of the State. 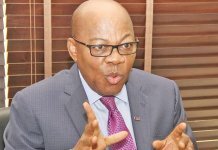 While calling for calm, Dickson said he would embark on a ‘Niger Delta Movement’ to mobilise people in their various communities on how to defend themselves as the Federal Government had failed in its primary responsibility of protecting lives and properties. He described Dei, 46, as a very professional, dedicated member of the media team in the Government House and Taribi, 50, who was also a Senior Special Assistant to the Governor on Grassroots Mobilization, as a decent and honourable man. Also in his remarks, the State Deputy Governor expressed shock that soldiers who are funded with tax payers money could turn their weapons against the people. He said that the murder of the innocent persons was unacceptable in any civilised clime as their are specified rules of engagement for the military whose role in elections are defined, adding that the military had a responsibility to investigate the killings. 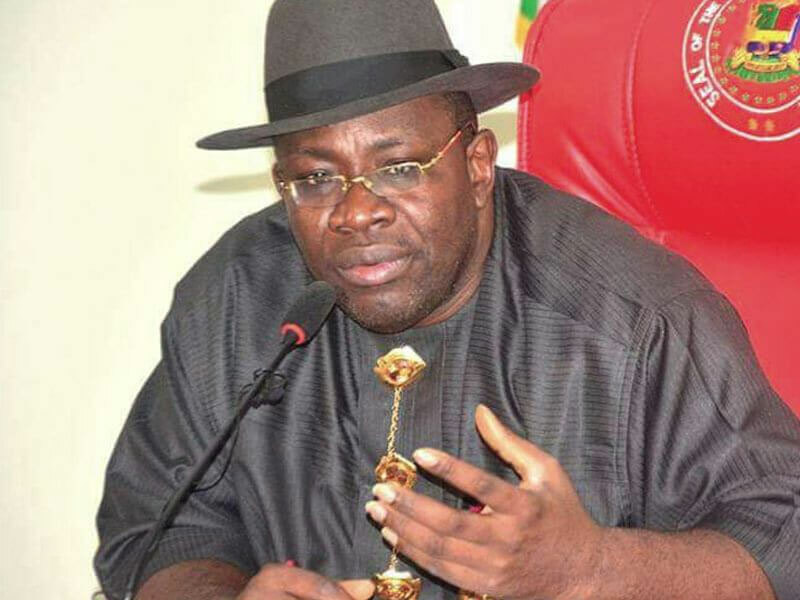 State Chairman of the PDP, Chief Moses Cleopas wondered why Bayelsans would kill their brothers over an election contested by two northern brothers whose places did not record such acts. Others who paid tributes were Senator-elect for Bayelsa Central, Douye Diri, the Speaker of Bayelsa State House of Assembly, Kombowei Benson, the Commissioner for Agriculture, Mr. Doudei Week, and the member Representing Southern Ijaw 2 Constituency in the House of Assembly, Monday Oboko-Bubou.